Emma turned eight on Saturday, and we threw a Harry Potter birthday party to celebrate. It was the obvious choice of theme for my daughter, who has read the entire series three times. She had a wonderful time celebrating with her siblings and friends from school! I consider birthday parties to be a wonderful way to celebrate both my children and to express gratitude for the friends who make their school days fun and educational. Emma often learns best from her peers – from folding origami (a new favorite hobby that she has learned from friends at school) to working through difficult math concepts – so I am very grateful that she has kind and helpful friends! 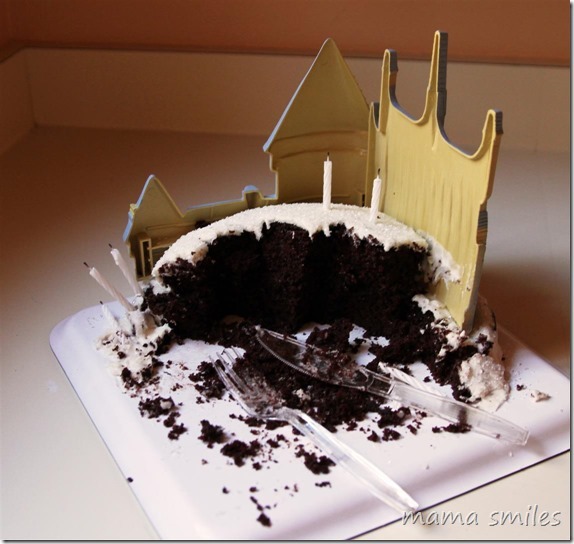 I ordered this Harry Potter Castle Cake Decorating Kit, and it was well worth the money – it made for a very easy super-fancy birthday cake, and the pieces can easily be washed and used again (I have a feeling this won’t be our last Harry Potter birthday party). I wish the figurine’s eyes were painted on a bit more, but my kids didn’t care, and nor did their friends. They also failed to notice that I left the train entrances to Hogwarts off the front. There is a piece for this that you can use, but it requires to make the cake using two full size cakes, and since we didn’t have that size of cake pan I used two round cakes instead, which made the cake not quite high enough. I’ve posted the recipes and directions for the cake we made at the end of this post. Wand-making was the main activity for the party. 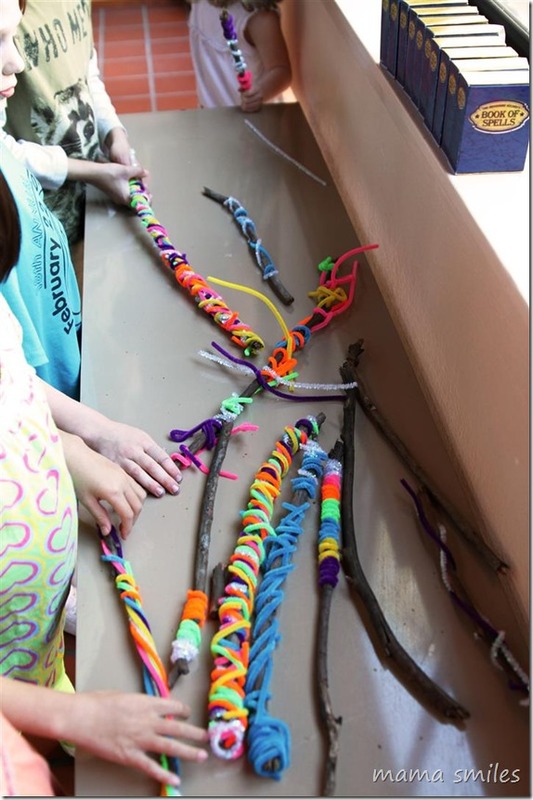 We gathered a bunch of sticks, added in some pipe cleaners, and we were all set! I added a package of sparkly pipe cleaners on a whim, and I’m glad I did, because they definitely added a magical spark for the kids! I didn’t provide a model wand, and I’m glad I didn’t. 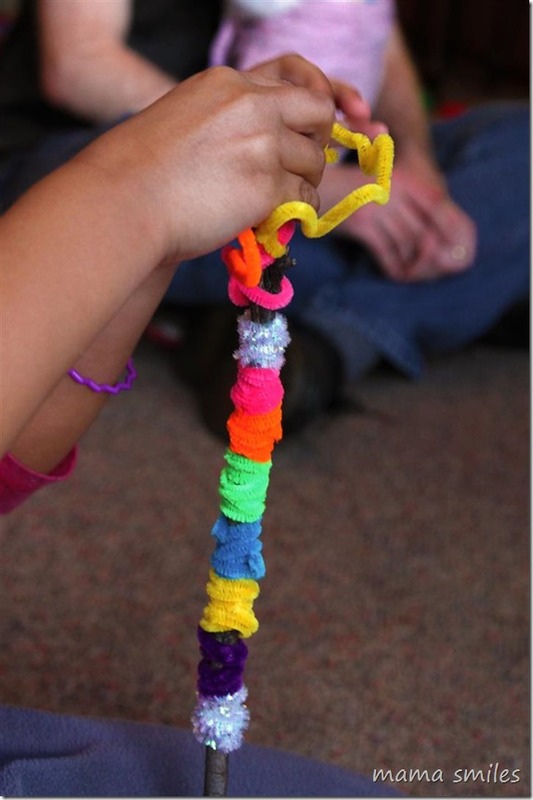 My kids had made pipe cleaner and stick wands before, always with only two or three pipe cleaners. Without the model, the kids each designed their own perfect wand! They covered their wands with pipe cleaners, and assigned the different colors of pipe cleaners with different powers. Several kids came back to the table to “upgrade” (their word) their wands. I loved watching them play! Some kids took play dough home in zip lock bags to play with; others used it to create stands for their wands (which they also took home). We still have some left over for the kids to play with. Whip butter with vanilla. Add powdered sugar, and then milk a little bit (about a 1 tsp at a time) until you get the desired amount of frosting. A lower milk-to-butter ratio yields a stiffer frosting. If you want a very thick frosting, I recommend adding a little bit of Wilton Meringue Powder. Heat oven to 350 degrees. Mix the dry ingredients together and mix well. Grease two round cake pans, and put a spoonful of the dry ingredients in each pan. Shake until the pan is thoroughly coated in the dry mix. Going back to your mixing bowl, make a well in the middle, add the wet ingredients all at once – no need to mix until they have been added in. Because of the way this cake works, you want to put the batter into the cake pans and then into the oven as soon as possible once you have added the wet ingredients. Stir the batter until thoroughly mixed, pour into your cake pans, and bake side by side in the oven for 25 minutes or until a toothpick comes out clean. The cakes should tip out of the pans quite easily once they have had time to cool. We also had LEGO DUPLO bricks out for the kids to play, and nearly every kid played with them at some point, with a few kids playing with them for most of the party! You’re never too old for DUPLOs! While I find it a little bit hard to believe that I am the mother of an elegantly grown-up eight-year-old, I love having Emma as my daughter! She is a kind, generous, and loving child who tries to make good choices, is very clever, and thinks a lot. I can’t wait to watch her grow over this coming year! How does your family celebrate birthdays? 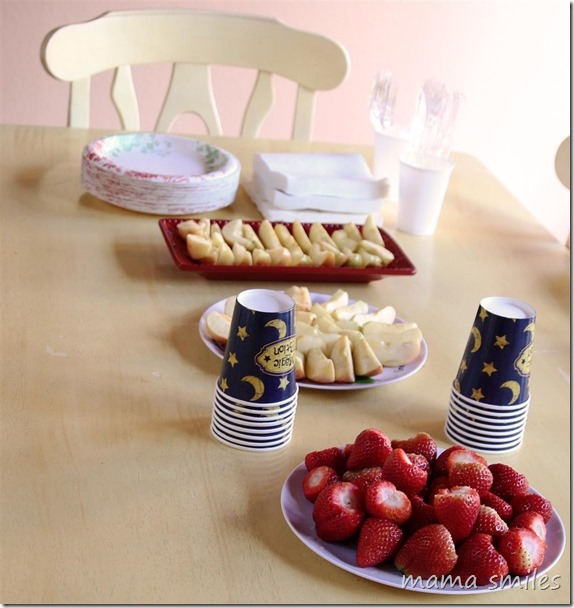 We vary between big parties with friends and smaller parties with just our family. My kids love to make wands. 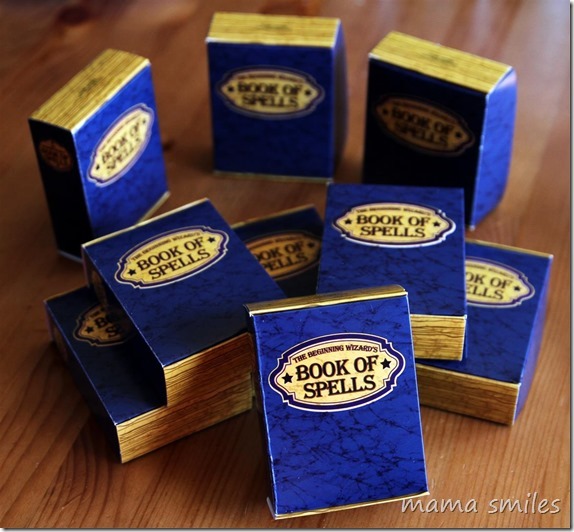 I especially love the wands, very creative! And I’m very impressed that she has read all the books. 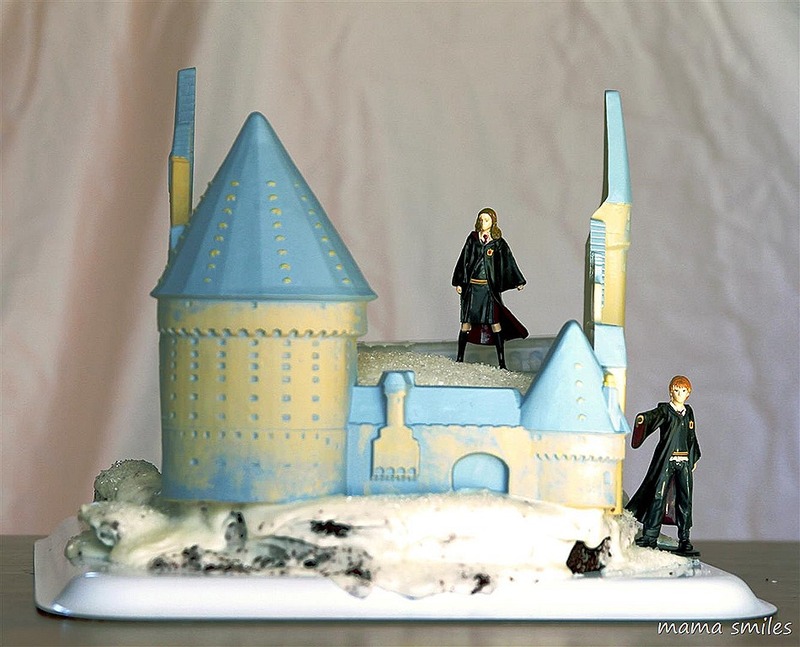 Parker was set on a Harry Potter birthday last year, but at the last minute changed his mind. I’m still lobbying for it for this year! I bet you would throw an incredible Harry Potter party! This was a lot of fun – especially the wands. I’m hoping we get at least one more Harry Potter party theme from my four kids. Happy Birthday to Emma!! It looks like a fabulous party. 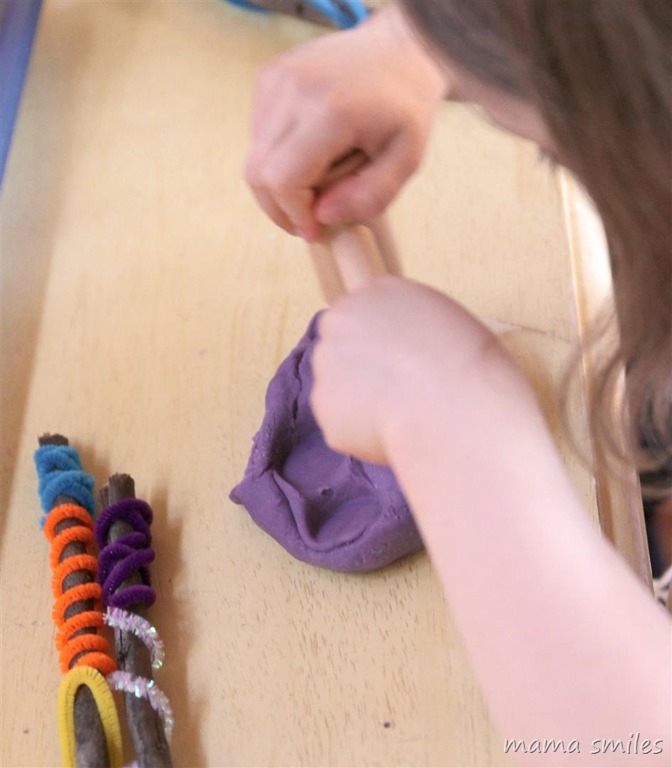 I love the wands and I’m thrilled to hear that 8 year olds still love play dough – I’ve been wondering when/if that will ever get old around here and I’m hoping that it won’t. 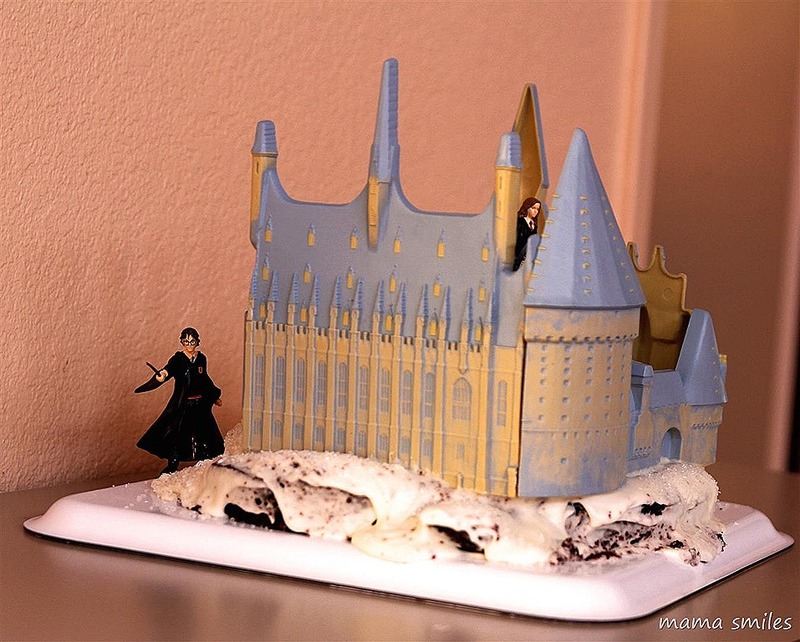 You did a beautiful job with the cake and those spell books are so cool! Play dough was very popular – as were the Lego DUPLO blocks! I think that, even if they wouldn’t play with it on a daily basis, it’s fun to have around sometimes. We have given play dough out as a Halloween treat in the past, and it has always been popular – especially with the teenagers! What an awesome Harry Potter party! I am so impressed Emma is reading the series. It’s a little scary for me! I love the Book of Spells and the wand craft! I’m sure everyone had a terrific time! What an awesome theme, I am a Harry Potter fan myself…. I just adore the activities and the cake looks awesome :) Happy birthday, Emma! I hope you have an amazing year ahead. Thank you! This was a very fun party, and not too much work. What an amazing cake and party! Happy Birthday, Emma!!! 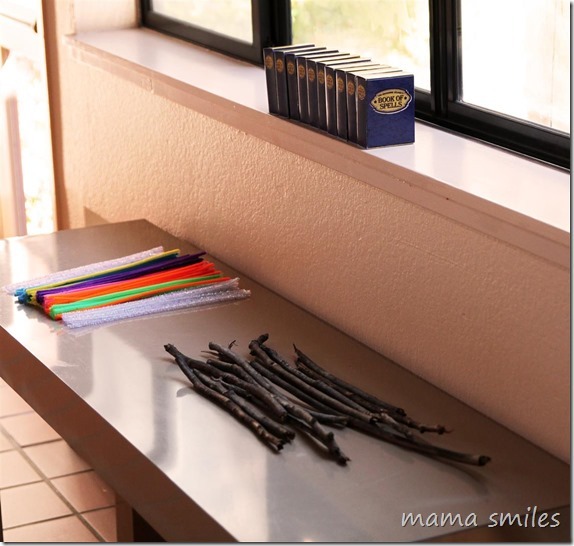 Really great idea with the wands, MaryAnne! I’ll probably do this theme for one of my kids. I’m hoping they’ll be big HP fans like me and my husband! I think we’ll probably have a few HP parties, between my four kids. The wands were a lot of fun! I LOVE this theme, and your cake looks fantastic. It looks like everyone had a lot of fun. Thank you, Natalie! This was a very fun birthday party! Fun! We just had a Harry Potter too… and it was fantastic. Love your cake! If you ever need cake decorating supplies (including pans) or want to hang out and have a fun girls night decorating cakes/cupcakes, just let me know. J has changed his mind about his bday party theme at least 3 times in the last 2 weeks. Right now it’s Ninja Turtles (it was tennis and Caillou). I can get excited for TMNT cake and theme! We have 2 more months, but I’ll be not useful at least 1 of those months. We’ll be busy very soon for the next little while, but maybe towards mid-summer we can re-evaluate free time. J also loves decorating, so maybe the kids can get together before school starts for a cupcake extravaganza. Looks like so much fun! I love celebrating birthdays! I Love your cake and have looked all over for the kit but it is sold out everywhere! Would you be interested in selling the one you have? 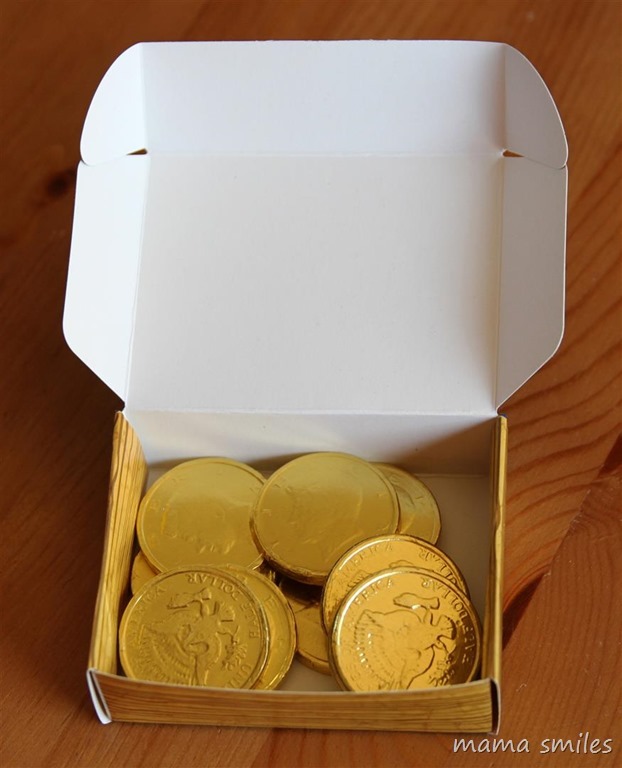 I have kids who still want to use it for their birthdays, unfortunately. Good luck tracking one down! Great job with the wand making activity. It is a smart affordable way to make the wands … Well done! Who doesn’t want to upgrade their wand …!